On those days with the sun lobbed overhead and even driving to the beach is a harrowing, sweaty test of endurance, break out your Rashie and paddle ‘til the sun goes down. Designed for warm weather, the Rash Guards from US Outdoor protect against both UV rays and accidental abrasions. 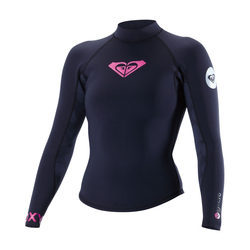 In colder temperatures, these versatile rash guards will easily slip under a wetsuit for added protection. Curated from trustworthy companies like O’Neil, Volcom, Roxy and Quicksilver, these Rash guards are available in a vast array of colors from fluorescent yellow to a modest navy. Surf in unprecedented comfort and keep the weather on the periphery where it belongs.